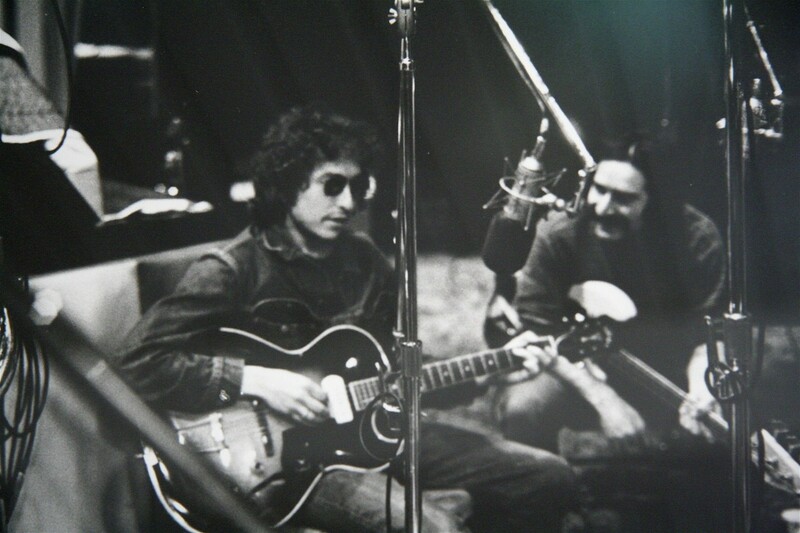 Bob Dylan and Happy Traum, circa 1971. The Woodstock area is, of course, forever entwined with the music and reclusive myth of Bob Dylan. Every May for almost 10 years the folk icon’s birthday has been celebrated at the Bearsville Theater with an all-star concert of his songs. But this time around, on May 27, the event will also celebrate the birth of another folk icon, local legend and Dylan friend Happy Traum, who turns 80 this month. Besides Traum, this year’s bash will feature performances of Dylan classics by Larry Campbell and Teresa Williams, Cindy Cashdollar, Jay Collins, Mike & Ruthy, Scott Sharrard, Rod McDonald, Bill Sims Jr., the Littleton Family Singers, and some 10th anniversary surprise guests, all of them accompanied by a house band comprised of Connor Kennedy, Will Bryant, Lee Falco, and Brandon Morrison. One of the Hudson Valley’s most beloved musical figures, Happy Traum came to prominence in the late 1960s and early 1970s as half of an influential duo with his late brother Artie Traum. In addition to performing and recording with Dylan, Happy and his wife Jane cofounded the music instructional publisher/label Homespun Music, which turns 51 this year. The 10th annual Bob Dylan Birthday Celebration will take place at the Bearsville Theater in Bearsville, New York, on May 27 at 7pm. Tickets are $25-$100 (front row and Golden Circle ticket holders are invited to a preconcert reception sponsored by Kate’s Lazy Meadow). For more information, call (845) 679-4406 or visit http://www.bearsvilletheater.com/.